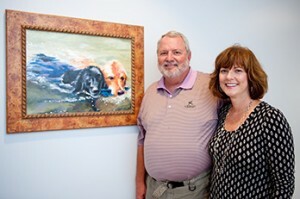 Randolph Reid and Betty Minton share a love of animals— especially dogs. So when a beloved retriever was diagnosed with cancer and given a few months to live, the couple wanted to ensure he would receive the best possible healthcare. “They do so many wonderful things here (at CVM),” Betty said. 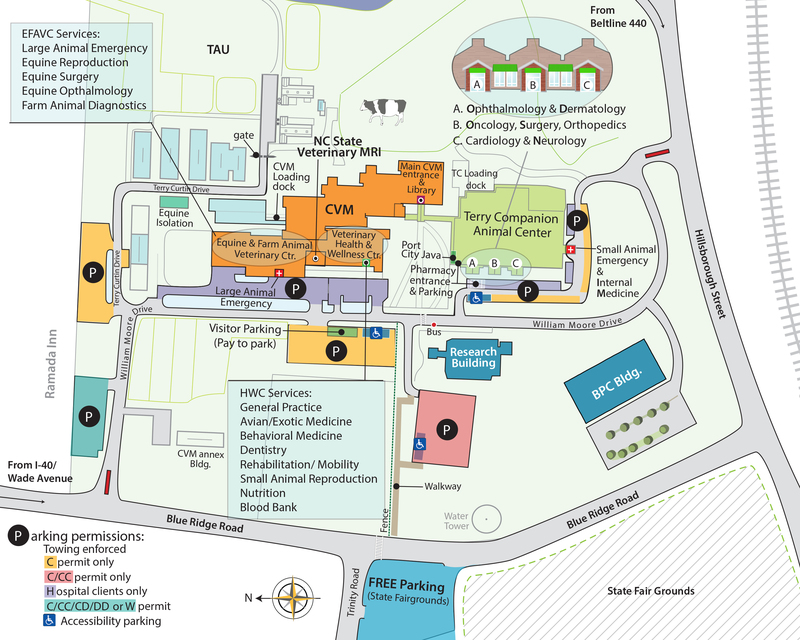 “They’ve been so good to our dogs; they’re so compassionate.” The couple views the college—which U.S. News & World Report has ranked third in the nation among colleges of veterinary medicine—as a jewel in NC State’s crown and an invaluable regional resource. A couple of years after Buck’s diagnosis, Randolph began chatting even more regularly with CVM volunteers during visits there with another dog, Molly, who was undergoing hip treatment. That experience inspired him to become a volunteer greeter himself. He enjoys aiding clients who have brought their animals to CVM from across the region or out of state: “I see what this place means to people. Animals are part of their families.” A willingness “to do anything, even cleaning up the dog walk area,” he joked, helped lead to his service as chair of the North Carolina Veterinary Medical Foundation that supports CVM. “I’m an ECU pirate in every sense of the word—except when it comes to the NC State vet school,” said Randolph, a proud 1973 East Carolina graduate. Through Randolph’s board role, the couple grew more knowledgeable about, and appreciative of, CVM’s cutting-edge research and innovative education. Randolph speaks enthusiastically, for example, about the college’s linear accelerator— a sort of ultra-sophisticated X-ray machine that can revolutionize cancer treatment. The ripple effects of such technology include an increased ability to attract top faculty, he said, and private giving is important to boost that level of effort. 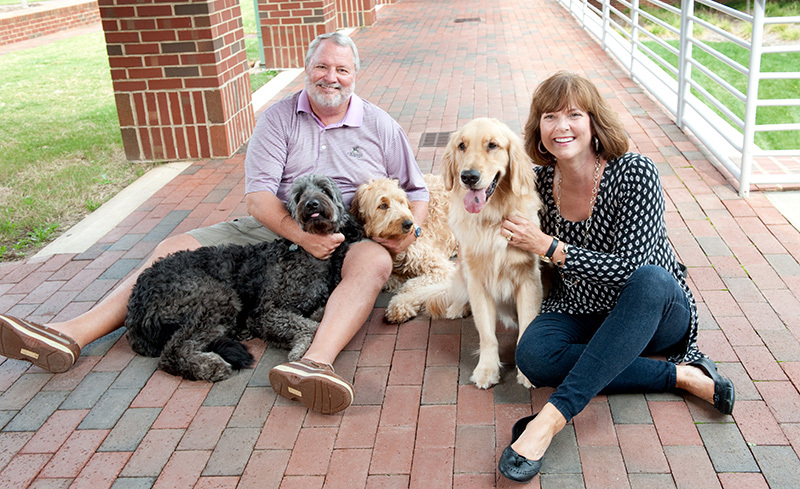 In 2012 the couple used appreciated stock to establish the Molly and Felix Team Work Research Fund—an endowment named in memory of Molly and a third dog who was a CVM patient—to provide grants for CVM clinicians engaged in collaborative work across departments and even colleges.